Hey, dads - want cards this Father's Day? Simply share this article with your partner or children and hope for the best. For many dads, Father's Day is about extra hugs, macaroni art masterpieces and a picnic at the park (bonus points if it's the ballpark). This Father's Day, Panini has drummed up a promotion to reward dads with something they really want but are afraid to ask for: cards. If you were forwarded this article by your husband, father or grandfather, they probably don't want a tie this year. 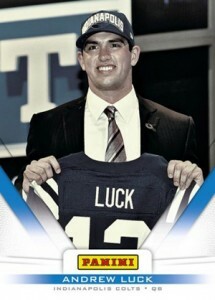 Click here to browse 2012 Panini Father's Day cards on eBay. Intended to encourage hobby shop visit, the exclusive multi-sport set covers baseball, football, hockey, basketball and soccer. 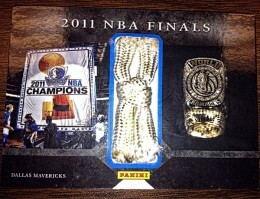 It also has unique autograph and memorabilia content that isn't available anywhere else. How do I get Panini Father's Day Cards? There is no set format for shops to give away the cards. 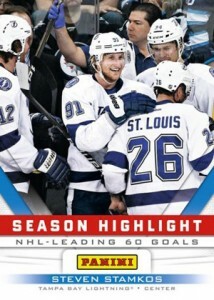 The Panini Father's Day cards come in packs. 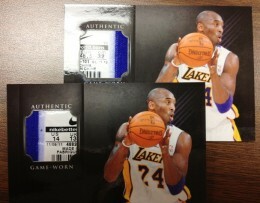 It's likely shops will award a set number of the special packs when specific Panini boxes are purchased. 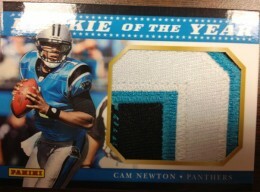 For example, you may get four Father's Day packs for every box of 2011 Panini Prime Signatures Football you buy on Father's Day. To find out the exact details for your local hobby shop, call them in advance. Because shops will have a limited supply of Panini Father's Day packs, it might be a good idea to check their hours as well so that you don't miss out. Some shops may be open different hours than usual because of the promotion. Also, some will begin on Saturday while others may hold off until Sunday. 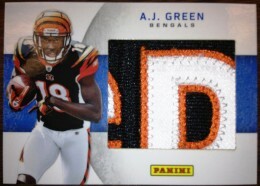 Hobby shops across the United States and Canada are taking part in the Panini Father's Day promotion. Click here to get a complete list of participating stores. No shops near me are listed. Is there another way to participate? Yes. 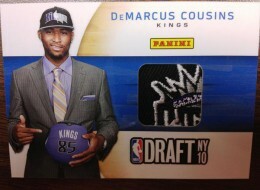 Panini is also offering 2012 Panini Father's Day packs through their online store. Collectors have eight sets to choose from. Each box comes with a specified number of packs. 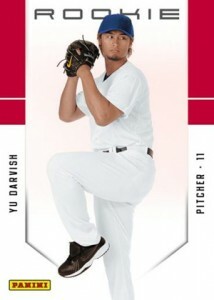 What kinds of cards are in the 2012 Panini Father's Day set? 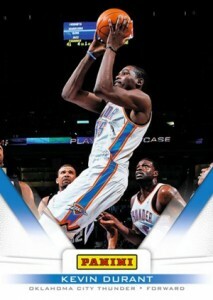 The 2012 Panini Father's Day set has an exclusive base set not found anywhere else. It's a multi-sport set that should appeal to any sports fan. 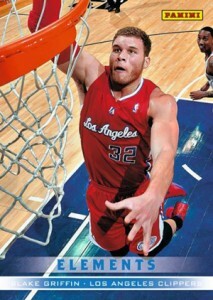 Cards include top baseball, football, basketball, hockey and soccer players. 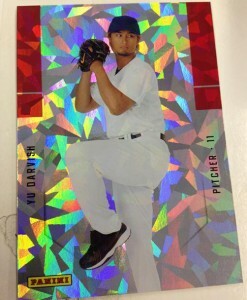 The base set also has a Cracked Ice parallel that give the cards a prismatic look and feel. 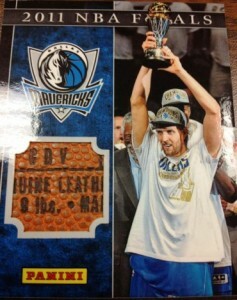 Cracked Ice cards are limited to 25 copies each. 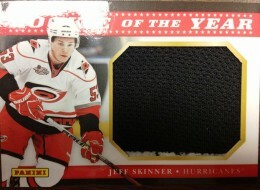 Click here to see a 2012 Panini Father's Day checklist. 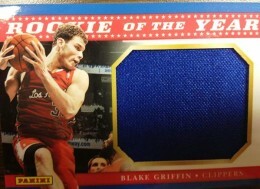 Rookie of the Year is a separate set of over-sized memorabilia cards highlighting top first-year players Cam Newton, Blake Griffin and Jeff Skinner. Elements is a ten-card insert set that emphasizes unique in-action shots. What is the best way to enjoy these cards? Open them with your dad or husband. 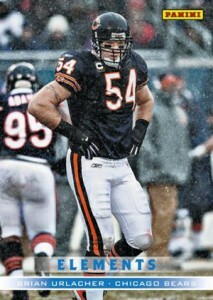 If you don't like sports or cards, tough. Father's Day is about dad. It will mean a lot to him if you share in the experience. Now that might mean a little acting or agreeable nods, but that's okay. Ask about the players. Let him explain his excitement over why a certain card is special. Stick with him as he debates whether Tim Tebow will ever be a starter in New York. Sharing this bit of time will mean a lot to him, guaranteed. And isn't that what Father's Day is all about? upset collector (ID 42799) � Dealers were allocated packs based on ordering certain products. They were asked to hold them until Saturday, but, obviously, many are getting busted already. 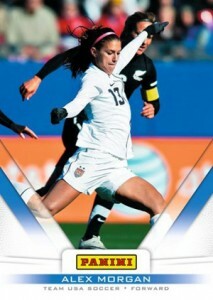 Props to Panini for this promotion! My store gave away several hundred packs over the weekend and still have many more to share. 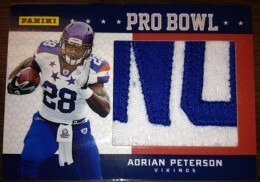 We saw some HUGE hits both from the boxes people bought and from the bonus packs. It was awesome seeing so many people come in who were new to collecting or had not been in for a while. Of course our regulars ate it up like crazy. I already can’t wait for this years Black Friday event in November!